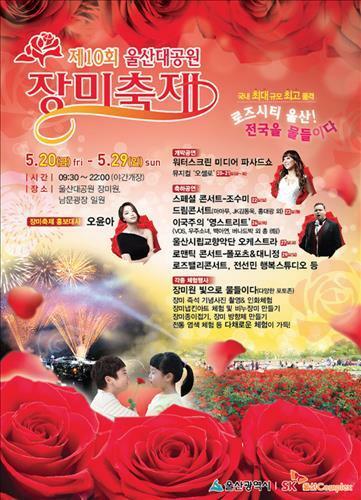 The 10th rose festival at Ulsan Grand Park will open next Friday. 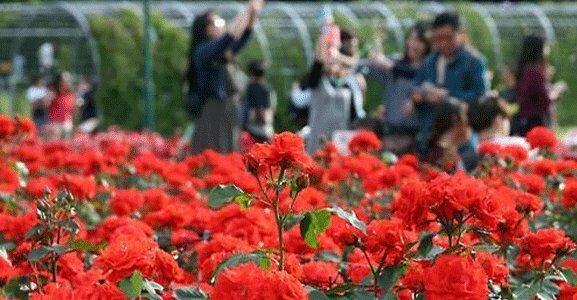 According to the Ulsan city government, it is the largest festival of its kind, with more than 263 kinds of roses that will be arranged for the occasion in a space larger than 44,000 square meters. The city said it has prepared a parade and a musical as part of efforts to establish its festival as a prime rose festival of the country. The opening ceremony will take place at 7 p.m. with a “Rose Queen Fantasy Parade” and a show that will feature a projection of Ulsan city’s picturesque scenery on a screen in the shape of a fountain. An original musical interpretation of the Shakespearean play “Othello” will also be showcased. There will also be a performance by opera singer Sumi Jo on Sunday as well as performances by K-pop girl group Mamamoo and other K-pop idols on May 23. There will be ab orchestra performance on May 27. The festival will go on for nine days until May 29. Seoul will also be holding a three-day festival with a rose theme from May 20-23.